Provide comfort for the family of Jocelyn Clarkson with a meaningful gesture of sympathy. Jocelyn Clarkson, 88, died on March 26, 2019 in Bennington, Vermont. She was born in Providence, RI, to Vera (Brown) Manzer and Harold Manzer. She grew up in Worcester and graduated from Bancroft School and Centenary College. Jocelyn worked for the American Cancer Society for 18 years. In her retirement she volunteered for the English as a Second Language program at the Shrewsbury, MA, library. Also in retirement, Jocelyn explored other interests and uncovered a hidden skill as a painter. She dabbled in watercolors but enjoyed acrylics as her favorite medium. She was also a voracious reader her entire life, played a competitive game of scrabble and enjoyed a good spirited political discussion. She enjoyed many life-long friendships with people of all ages due to her sincere interest in others and lively personality, and continued to make many friends after her move to Bennington five years ago. People from all walks of life were drawn to her, and she reciprocated their affection. She is survived by her daughter and son-in-law, Jennifer Clarkson-Smith and Bruce Smith of Bennington, VT, and son and daughter-in-law, Bob and Lynn Furler-Clarkson of Rockport, MA; four grandchildren, Caitlin Smith of Georgia, VT, Michael Smith of Napakiak,, Alaska, Benjamin Clarkson and his wife Chelsea of Frederick, MD, and Ethan Clarkson of Brooklyn, NY . 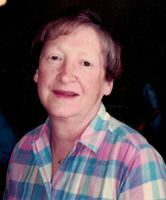 She was predeceased by her husband of 49 years, Frank E. Clarkson, PhD and her sister, Anita Muchmore of Charlton, MA. Graveside services will be held at the family plot in Sleepy Hollow Cemetery in Concord, MA at the convenience of the family. In lieu of flowers memorial contributions may be made in her name to the Shrewsbury Public Library, 609 Main Street, Shrewsbury, MA 01545. To send flowers in memory of Jocelyn Clarkson (Manzer), please visit our Heartfelt Sympathies Store. Provide comfort for the family of Jocelyn Clarkson (Manzer) by sending flowers.